We had the privilege of being some of the first in the door for an exclusive night in Dylan McGrath’s newest labour of love “Taste at Rustic” last Tuesday. After a year of research spending time in Japan and experimenting with what McGrath describes as real Japanese cuisine, Taste is born. Situated on the top floor above his innovative and popular restaurant Rustic Stone Taste is an intimate, rich space. High end woods, exposed brick and probably the most luxurious, comfortable chairs ever placed in a sushi environment. 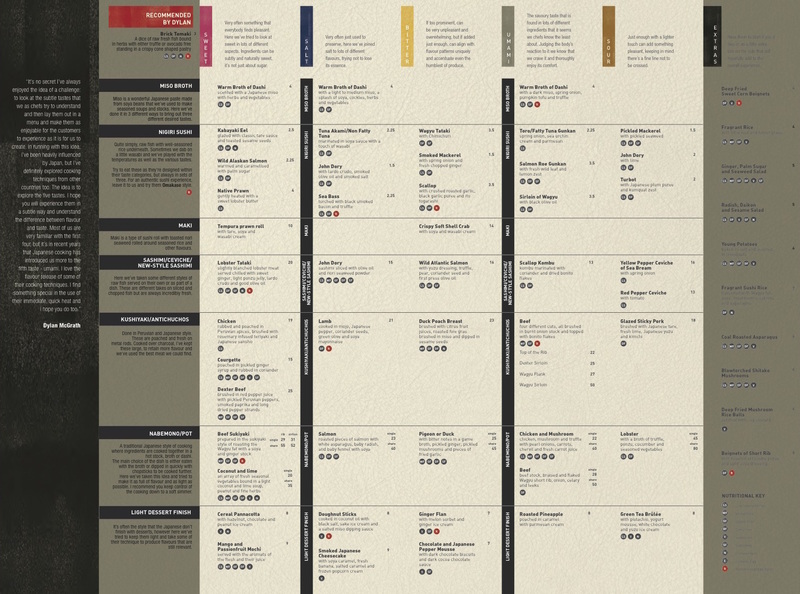 However, you would be mistaken if you thought this was just a sushi bar, this is not just sushi, the menu below will show you the huge selection of the rarest beef cuts and more. It obvious to see a huge investment has gone into this room with no detail spared. Striking branding on the chopsticks and menu give you a sense straight away this will be something to remember. The bar area surrounds the entire cooking space, giving the diners a bird’s eye view of the magic at work. Subtle lighting, mirrored ceilings and copper piping make the room feel instantly inviting. The menu itself has a westernised feel to it on some of the dishes, but McGrath has placed a huge emphasis on using authentic Japanese flavours. His unique, creative style and expert detail can be seen in every dish. He oversees and tastes constantly while we are there, eagerly watching each diner’s reaction with a passion we can only liken to a proud parent watching their kid score a winning goal. It’s hard to resist his infectious intensity for delivering an amazing experience, unlike anything we have ever tasted before. Each small plate was better than the next. A word you’ll hear a lot of over the next few weeks is “umami” and McGrath had delivered it here in abundance. An unusual feature we think people will love is the ability to cook your own food and become involved in the experience. Whether it is chicken skewers over the small charcoal grills; the exceptional wagyu beef or our own personal favourite the duck poached breast, brushed in miso and dipped in sesame seeds with the most delicious broth that allows you to continue to keep the broth warm or increase the intensity, this is the exact detail that will make this restaurant stand out. Each element is brought to a different level when added to the next. There is also a superb selection of sake on offer which we would urge anyone to try with the sushi dishes. 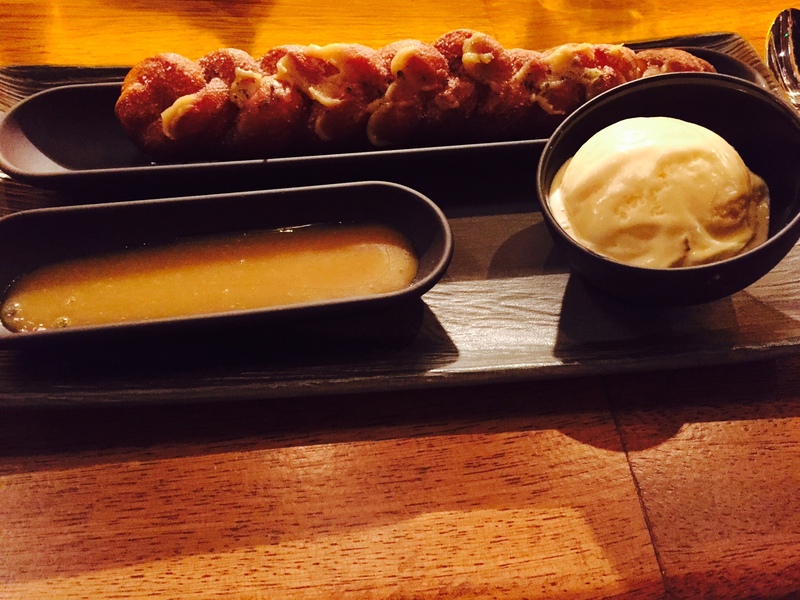 Unlike most Japanese inspired restaurants Taste at Rustic also has a very delectable array of desserts on offer, make sure you try the doughnuts in a word – wow! The gingerbread cheesecake is another big win, bursting with flavour. All in all yet again Dylan McGrath is bringing something revolutionary to the Dublin food scene, be part of it, as this is one Taste you do not want to pass.